Roly Poly Pandas is an adaptation, with permission, from the work of graphic artist, Eleanor Grosch. 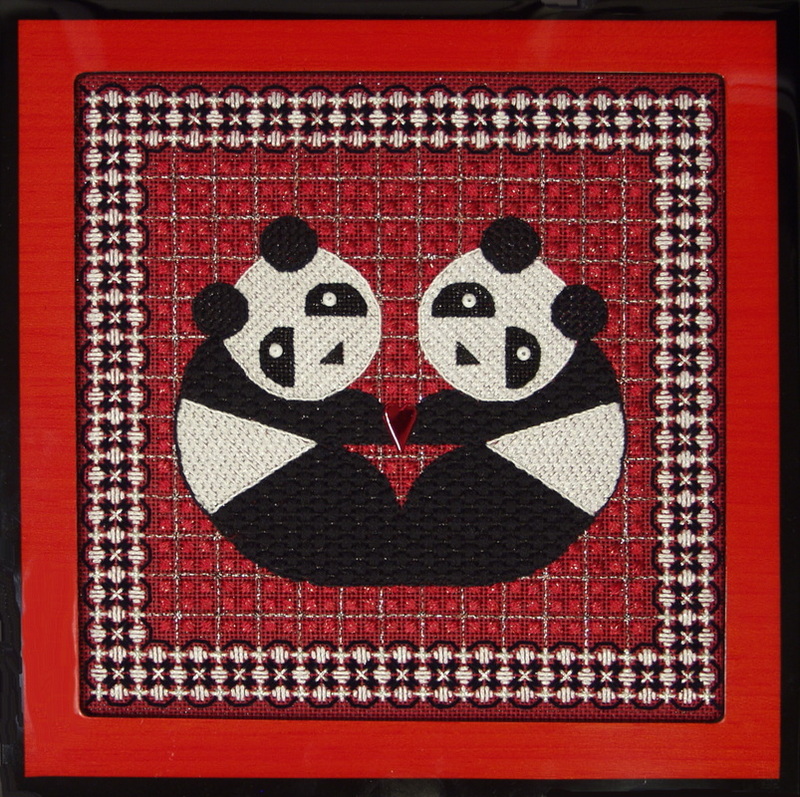 This charming pair are set up with a precise back-stitched outline that ensures that the two bears are symmetrical. They are surrounded by two of Ann’s original composite arrangements — a two-way couching pattern in the background area and an elegant four-way arrangement in the border. 1 piece of 18-count Zweigart Victorian red mono canvas - 12" X 12"